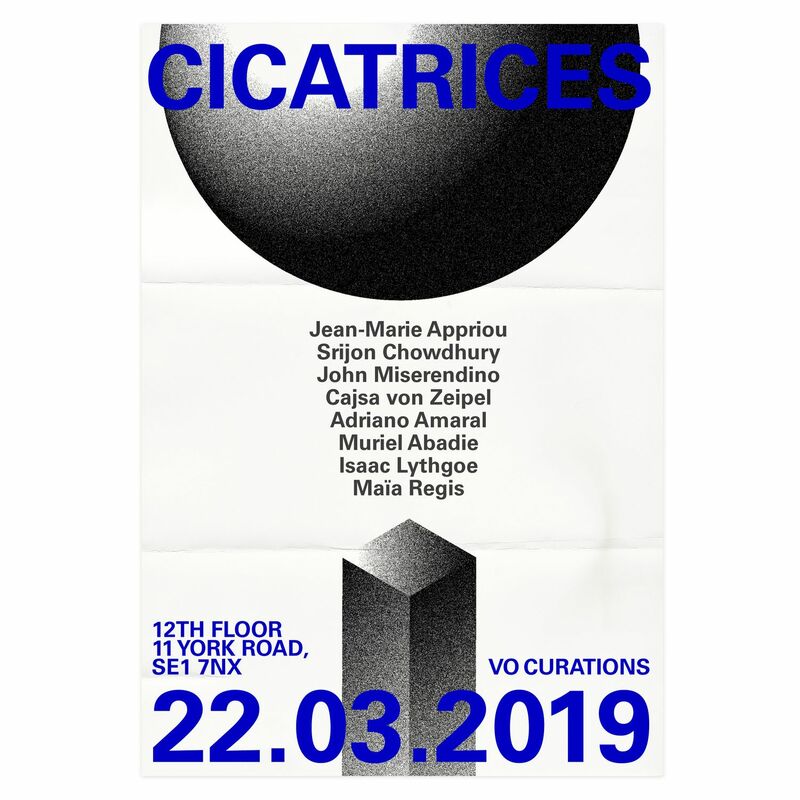 VO Curations is delighted to announce the opening of its new space, 12th Floor. Previously home to David Chipperfield Architects, 12th Floor pairs a new gallery, bookstore and artist studios. The exhibition launch « Cicatrices » opens on 22nd March with a private view 6-9pm. Open until 3rd May. The show features the works of Muriel Abadie, Adriano Amaral, Jean-Marie Appriou, Srijon Chowdhury, Isaac Lythgoe, John Miserendino, Maïa Regis, Cajsa von Zeipel. 12th Floor is supported by Outset Art.